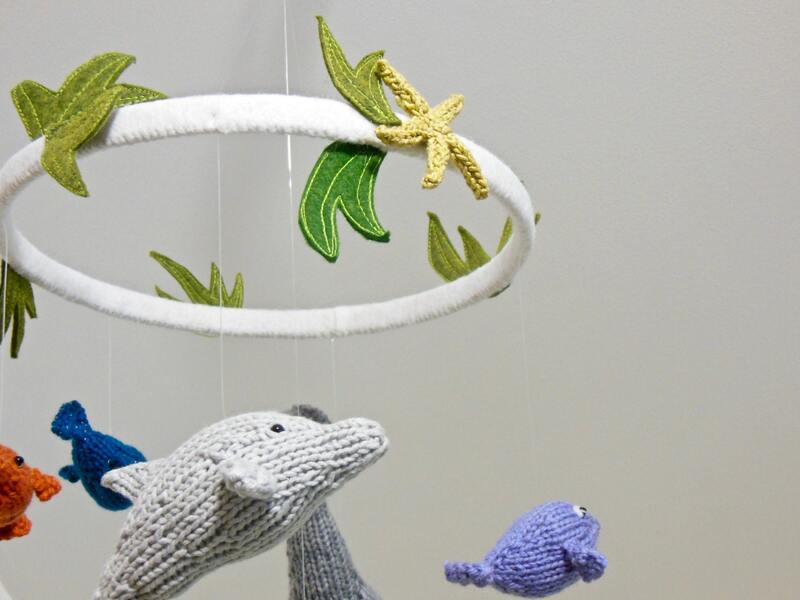 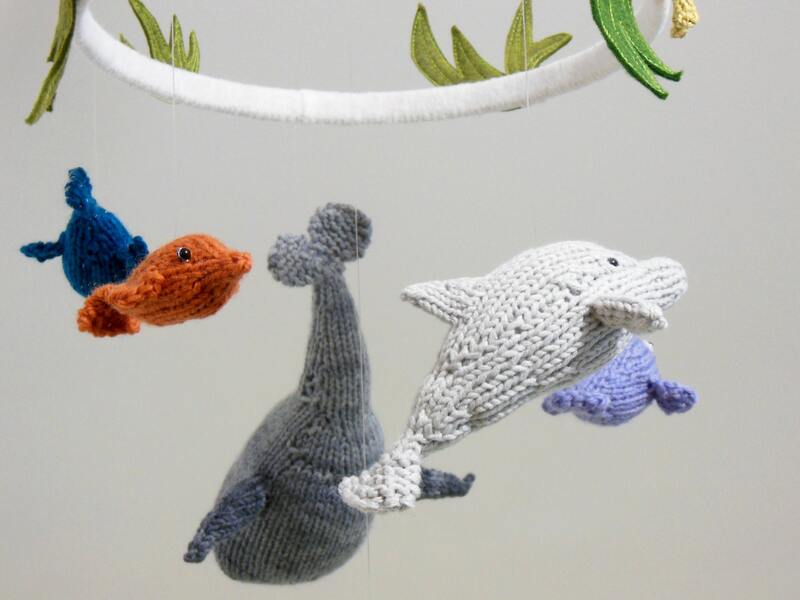 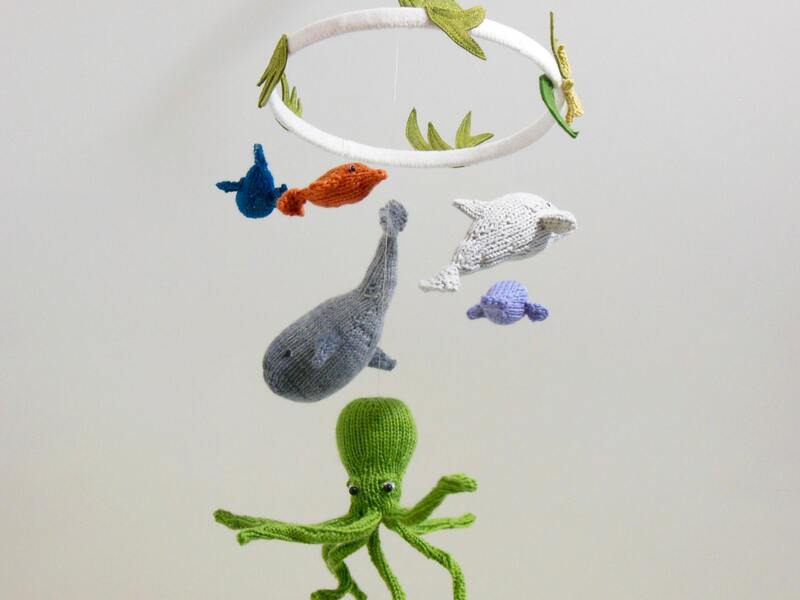 This hand knit sea creature mobile features a majestic whale, spirited dolphin, three colorful fish, one shimmery sea star and an impressive expressive octopus. 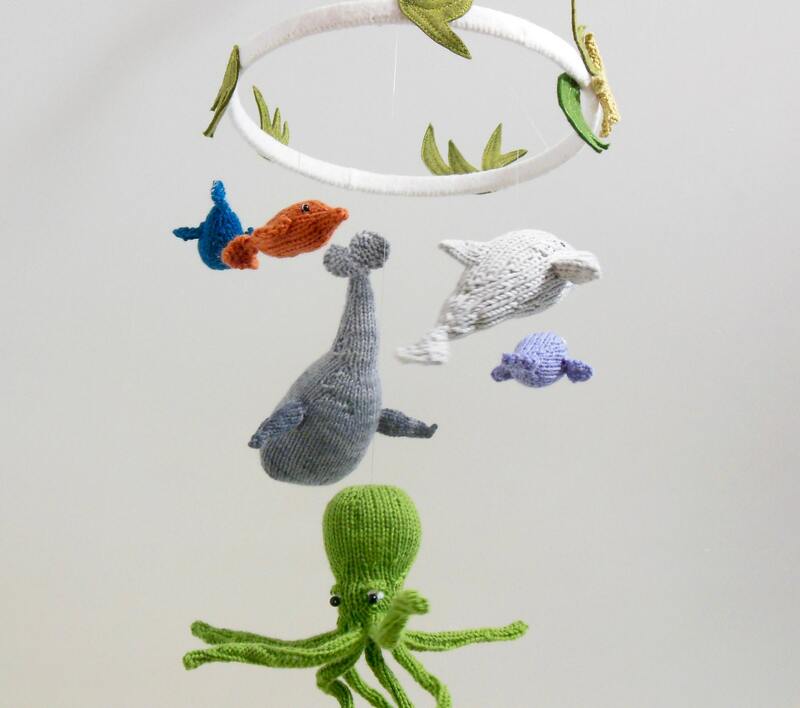 Colorful and playful, this ocean baby mobile will delight all age groups and will make a perfect addition to any room. 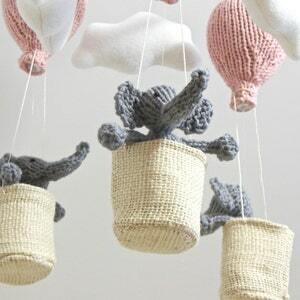 Natural fibers are used. 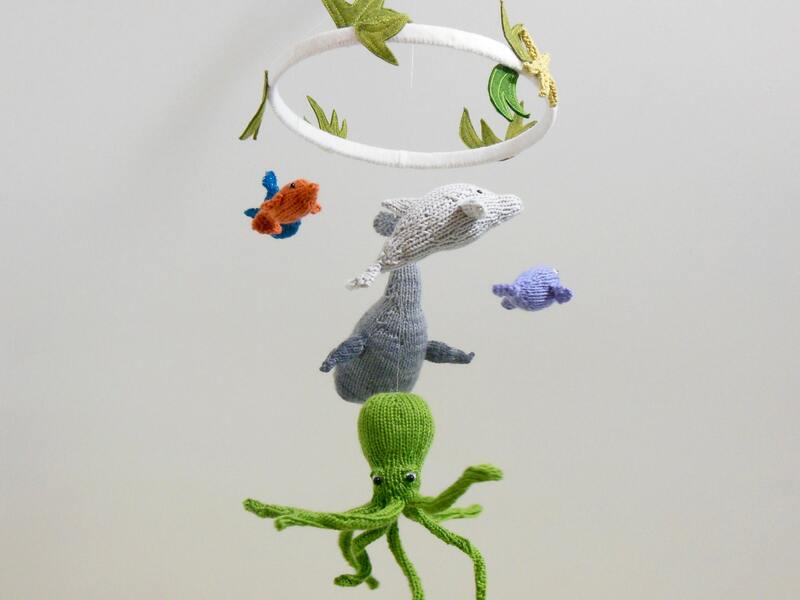 The 10" diameter hoop is covered with wool-felt and embellished with wool felt sea plants. 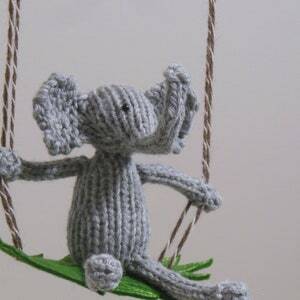 ► Made to Order Item - This item may take several weeks to create, however production times vary throughout the year. 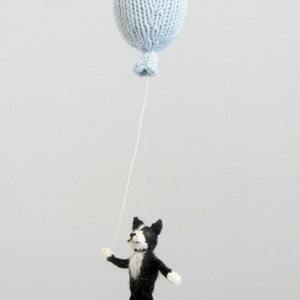 Please do not hesitate to ask me questions; I'm happy to help. 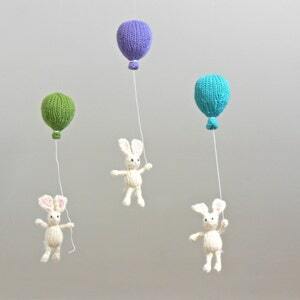 ♦ Length - 7+ inches approx.